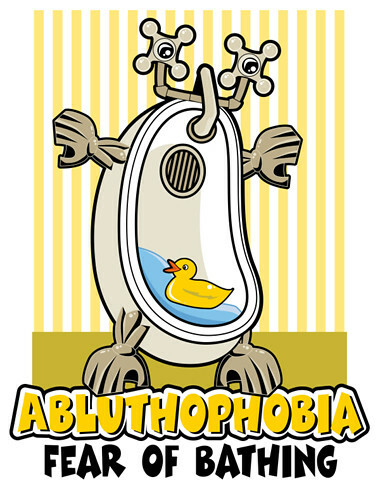 My Illustration Friday submission for the "phobia" topic. Good one! I like the strong design and color. Clever, bright, and unique illustration! The rubber ducky is a nice touch! Indeed, the colours and the strong lines are great. Love it. That's pretty funny! Never knew you could get a bath into such a dynamic pose! Really great! How fun is this. You really captured something here. I know a few kids in my house afflicted with that disorder. very clever and well done!! Looks like comic book illo and I love it! I like how you portray the bathtube as a standing threat. The tubes for legs and oter things fit in just right. Great Illustration. So that's what they call it,I can tell people now when they say I f**king stink :) Great work !! I'll never get in the bath again! that scares the S**t out of me, not that I bathed regularly anyway! good stuff.